More than 100 golfers, volunteers, students and dinner guests attended last week's 15th Annual Cabrini Connections Golf Benefit. You can read about staff members' experiences here. It was a wonderful day by all accounts. The bulk of my day was spent with 2006 CC alumnus Jonathan Summers (left). In the morning, Jonathan and I rode around in a cart taking pictures and chatting up the golfers. Later in the day, we were assigned to keep an eye out for holes in one on hole #11. If you enter the hole in one contest and are miraculously successful, you win one of several trip packages. There would be no lucky strokes this year, though. I am very thankful for the opportunity to get to know Jonathan better. He and I spent about four hours together on the course and we were talking almost the whole time. He's 22 and I'm 23, so it turns out we're a lot alike. And to hear him reminisce about Cabrini Connections with such joy really brought the event full circle for me. 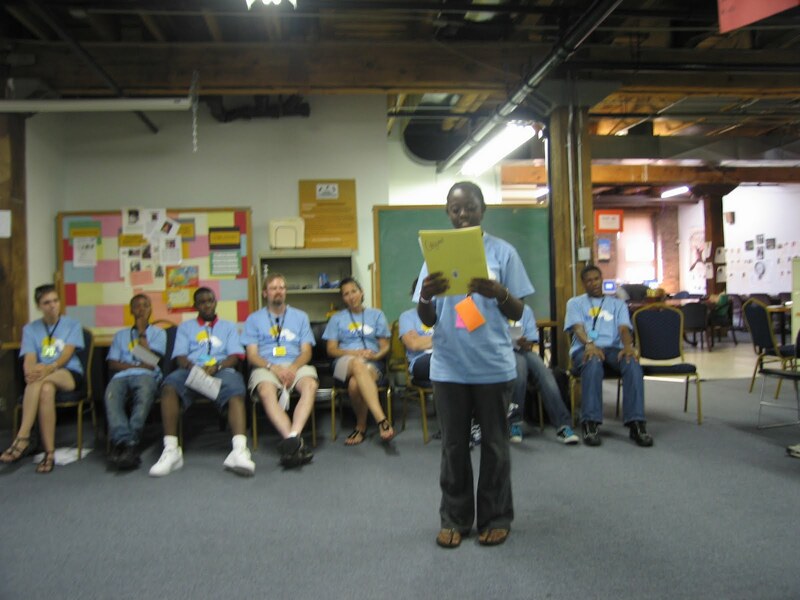 Today, we kicked off our 12th annual Edgewood College Experience, a three day mini-camp during which youth from our program work with graduate students in education from Edgewood College in Madison, Wisconsin, on fun activities, brain games, and more. Last year, this was my first day on the job. You can read my introduction here and my Edgewood recap here. It's hard to believe all that has transpired in the last 365 days. When I read my predecessor's "One year later" post last summer, I could sense his love for this work, but I couldn't feel it yet. I couldn't comprehend it. One year later, I know exactly what he was talking about. I am so happy with my position here and I am so grateful to be surrounded by more than 70 young people, almost 100 adult volunteers, and five invaluable staff members. Cabrini Connections' 15th annual Golf Benefit will take place next Thursday, July 15th, at Highland Park Country Club in Chicago. 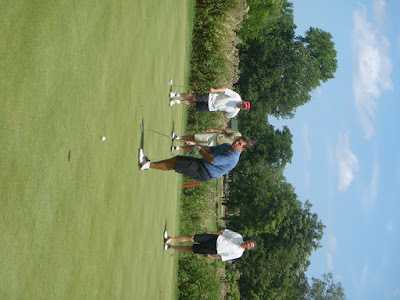 Last year, we had 97 golfers play in the afternoon and over 120 present for dinner and a silent auction in the evening. If you or someone you know would like to golf with us this year, you can register on the Golf Benefit web site. Dinner tickets are also available... and you do not have to golf to attend the dinner! So even if you have to work all day, you can still join us for dinner (fully catered) and drinks (open bar) in the evening. Lastly, for those of you who are not in Chicago, you can always make a general donation in any amount (very much appreciated) OR you can pre-bid on some of our silent auction items until 12am on July 15th. The highest pre-bids will become starting bids at the actual silent auction. For more details on this new opportunity, visit Cabrini Connections home page. Thanks for reading and thank you for the support. Good luck, golfers! Today is July 1st, 2010. It is a day which has been anticipated for years in the NBA. Free agency officially began last night at 12:01am and teams are scramblinfg to acquire players from the greatest free agent pool in history: LeBron James, Dwayne Wade, Chris Bosh, Dirk Nowitzski, Amar'e Stoudemire, Carlos Boozer, Joe Johnson, Paul Pierce... These eight players alone have been selected to the All-Star Game a combined 44 times! University of Illinois at Chicago economist John Skorburg estimates James' impact on the city of Chicago could be worth as much as 2.7 billion if he chooses to sign with the Chicago Bulls. 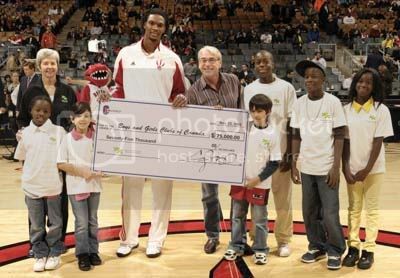 Bars will be full, TVs will be on, jerseys will be sold, but what about the charitable impact? This article nicely summarizes the charitable side of the NBA's top free agents. The Bulls are all but guaranteed to acquire at least one if not two "big names" this summer. What impact can these players' foundations have on Chicago? My colleague Dan Bassill wrote an article last week about Chris Bosh and the potential of athletes to use their star power to draw more consistent attention to tutor/mentor programs in Chicago. Tutor/Mentor Connection already has ties to the Bulls. They donated a team autographed pennant to be auctioned off at our Golf Benefit on July 15th. What will it take to assign athletes ownership of our mission? What will it take to get LeBron James or Chris Bosh or whoever comes to Chicago to give a shout-out to Tutor/Mentor Connection or host a volunteer recruitment fair? I don't know the answers to these questions, but I do know that we must demand this type of action from professional athletes who are role models to our kids. In the same way that we expect 30 points, 7 rebounds, and 8 assists a game from LeBron, we should expect charitable giving and community activism. Enjoy the drama of free agency, and hopefully by the 4th of July we'll have even more to celebrate.